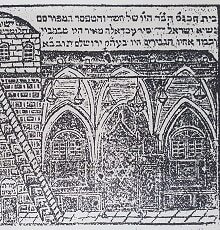 The purchase of the courtyard and the house next to the synagogue and their attachment to it. 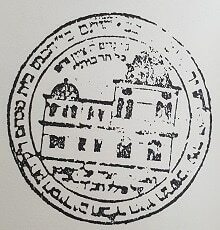 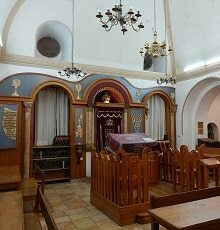 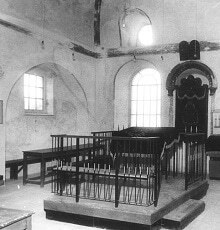 The end of the First World War and the establishment of the "Tzemach Tzedek" Chabad yeshiva in the synagogue, which lasted until the end of World War II. 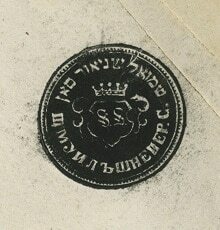 The British leave the country, the War of Independence begins. 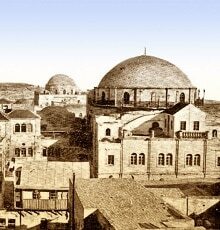 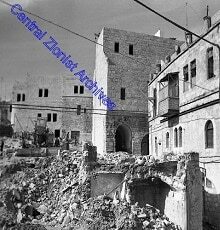 The Old City and the synagogue fall under the control of the Jordanians. 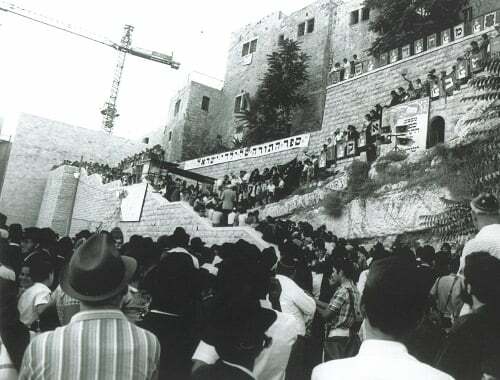 The Six day War, the liberation of the Old City and the redemption of the synagogue (the only remaining structure during all the battles) - the return of Hasidim to regular prayers. 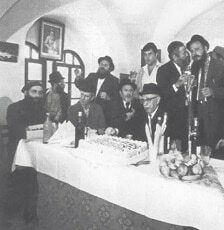 Celebrating 80th Birthday of President Zalman Shazar - The Rebbe sends a bottle lechaim and a greeting card to the farbrengen. 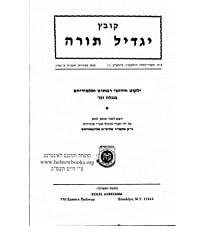 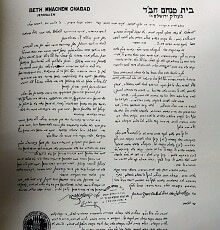 Elul, the first book by the Avrechim of the synagogue’s Kollel in the series "Notes and Commentaries on the Shulchan Aruch Hrav"
20 Menachem av, writing of the first Sefer Torah of the Children is completed. 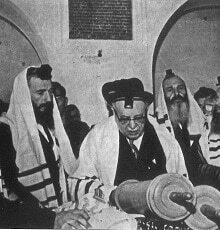 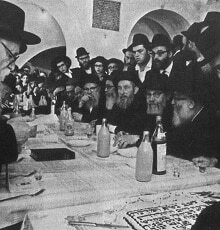 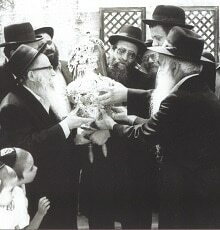 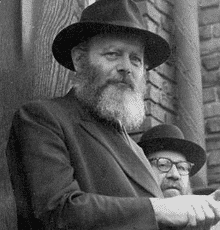 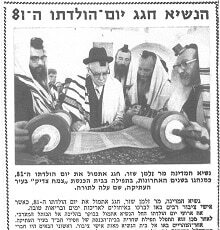 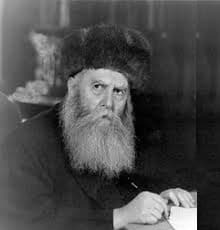 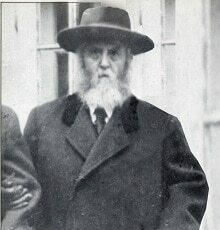 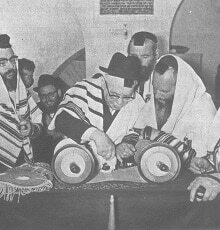 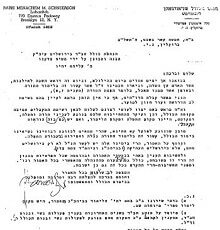 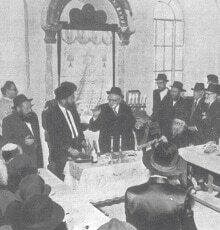 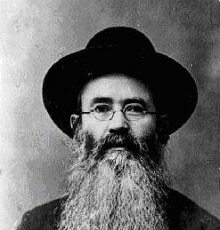 It is brought in to the synagogue, The Rebbe has sent a special representative on his behalf, Rabbi Zalman S. Dworkin, with whom the Rebbe sent his financial participation in the purchase of the parchment and the Torah scrolls. 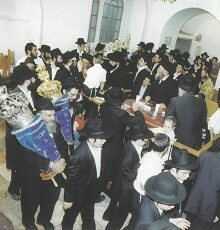 Also, a bottle of special drink for the distribution of Lechim During the event. 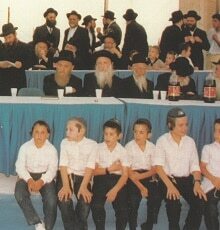 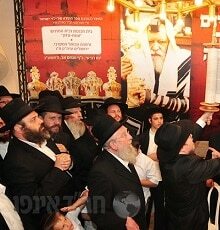 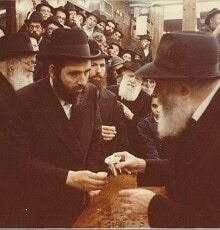 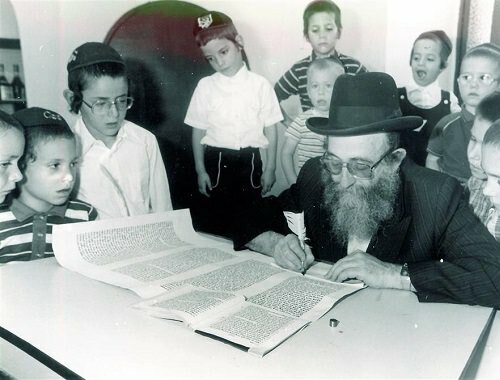 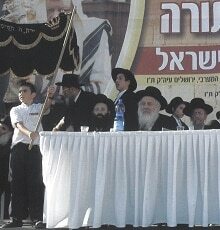 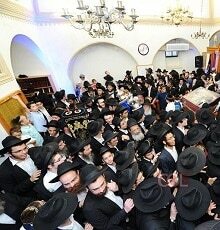 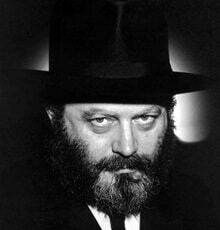 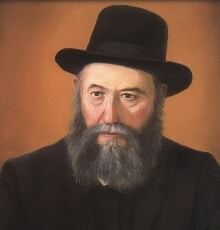 Likewise, the Rebbe appointed him to write a letter in the Sefer Torah in his name.